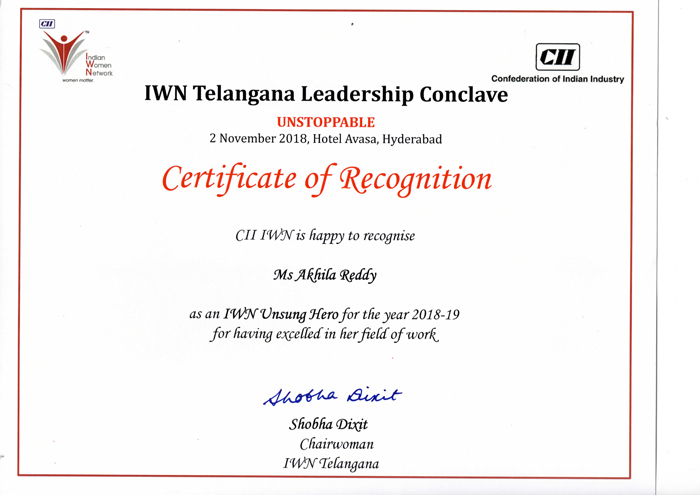 Confederation of Indian Industry with IWN Telangana Leadership Conclave awarded Akhila Reddy, Managing Director of Sturdy Volt Pvt Ltd for achieving excellence in her field of work. 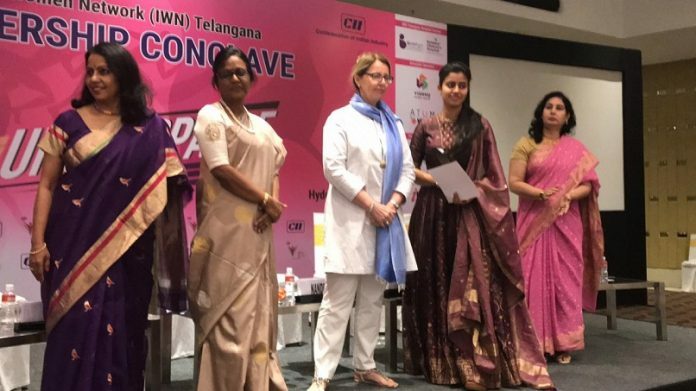 Confederation of Indian Industry with IWN Telangana Leadership Conclave awarded Akhila Reddy, Managing Director of Sturdy Volt Pvt Ltd for achieving excellence in her field of work i.e. compact and light weight On-Load Tap-Changer (OLTC). OLTC manufactured at Sturdy Volt is an entire new design and a new approach to the transformer industry. Its compact size, reduced weight, easier assembly, long lasting, easy maintenance makes OLTC a very unique one. Coming up with lot of advanced technologies this OLTC will make a value in the market. 25 OLTCs can be manufactured in a single day, and hence delivery being at its fastest rate. Sturdy Volt is a company based in Hyderabad focusing on providing the best quality components to transformer manufacturers. The company is equipped with a world class manufacturing facility with in-house 3D design competence. It manufactures components such as Cast Resin Coils up-to 36kV class, Marshaling boxes, and Remote Tape Changer Control Cubical (RTCC).